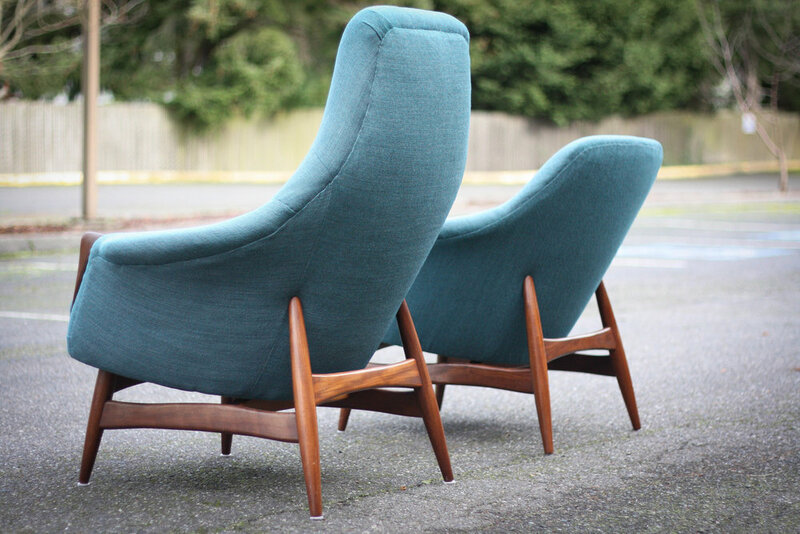 This stunning Danish modern, mid century, chair set is absolutely breathtaking. 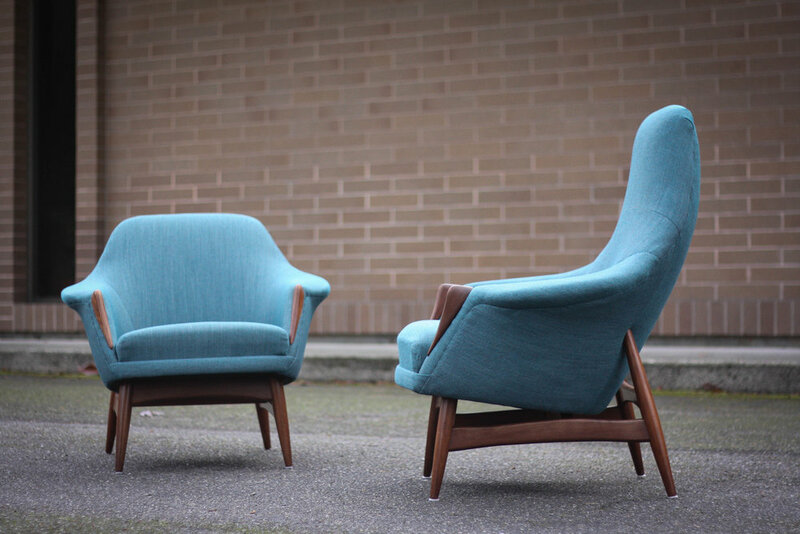 The chairs feature a sculpted back, countoured arms, and beautiful walnut trim pieces on the arms. 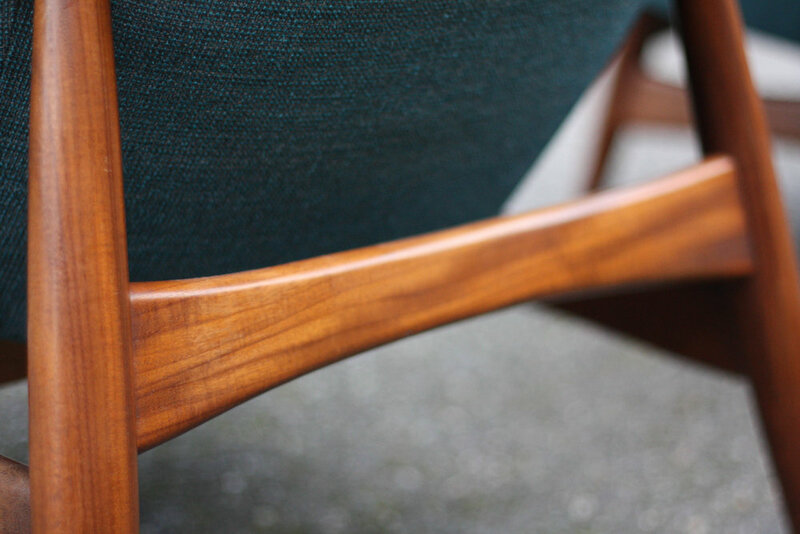 The stunning leg base gives the chair a light, floating effect. 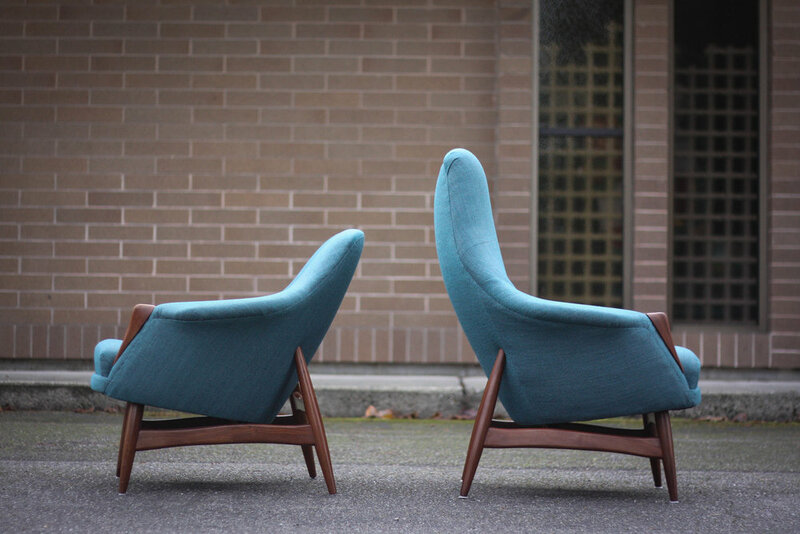 The best part is these chairs look just as great from behind with the exaggerated walnut legs. Be sure to check out our other listing for the matching sofa.